Known for its fast transaction speeds and low friction payments, the Stellar network offers users tools for value exchange across borders. On Aug. 23, The White Company and Fintech’s Interstellar joined forces to bring users seamless foreign currency withdrawals and deposits via a new stablecoin. Under the terms of the agreement, Fintech’s Interstellar decentralized exchange (DEX) platform will integrate with The White Company’s newly developed White Standard stablecoins, according to a press release. The White Standard stablecoins will offer users seamless deposit, withdrawals and transfers from dollars, pounds and euros via three new Stellar-powered stablecoins–WSD, WSP and WSE–which are fully-backed by secure reserves of each respective fiat currency and hold a 1-to-1 parity in value. The White Standard is currently the only U.S. dollar stablecoin built on the Stellar network. Launched in 2017, Interstellar is an integrated DEX platform and cryptocurrency wallet that is powered by the Stellar protocol. Interstellar currently offers users access to trading in five major cryptocurrencies: Bitcoin (BTC), Stellar Lumens (XLM), Litecoin (LTC), Ethereum (ETH) and Ripple (XRP). 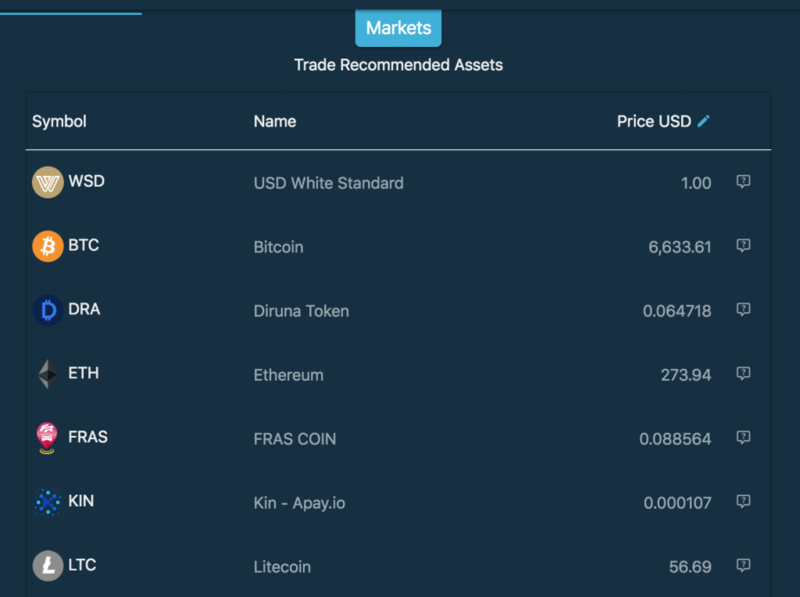 Through its new partnership, Interstellar will be able to offer traders access to instant withdrawals, deposits and transfer via the White Standard stablecoins, a feature that has been long-awaited by Interstellar users. Related: The Case for Stablecoins: A Much-Needed Asset Class or the Worst Crypto Idea? Previously, the NGNT stablecoin (pegged to the Nigerian Naira) was the only fiat-linked cryptocurrency available on the exchange. In accordance with international regulations, traders will be subject to Know-Your-Customer (KYC) and Anti-Money Laundering (AML) verification during the stablecoin redemption process. Currently, there are no withdrawal or deposit limits for WSD, WSP or WSE on the Interstellar DEX platform.